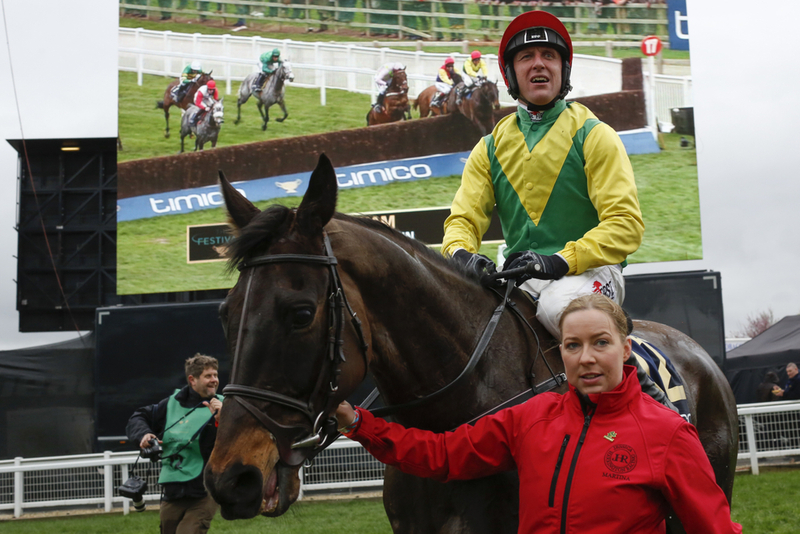 Sizing John, the 2017 Cheltenham Gold Cup winner, is to miss his intended return to the racetrack at the Leopardstown Christmas Festival due to the recent dry weather. The eight-year-old, who also lifted the Irish and Punchestown Gold Cups in a whirlwind 2016/17 season, was forced to miss the defence of his crown this year after a pelvic injury curtailed his campaign. The five-time grade one was expected to return at Leopardstown over the festive period in either the Paddy Power ‘Sugar Paddy’ Chase or the Savills Chase, a race in which he disappointed in as 9/10 favourite in last year. However, due to the lack of rain that has affected both Britain and Ireland this winter, trainer Jessica Harrington has not been able to gallop him on the grass, and she’s now had to draw up stumps again in what has been an already-frustrating preparation. Despite the latest hold-up, Harrington will now aim Sizing John for the Kinloch Brae Chase at Thurles in January, the race which he won two years ago. If all goes to plan, it’s likely that he will be aimed at familiar targets and aim to become the first horse since Kauto Star to regain his Gold Cup Crown.